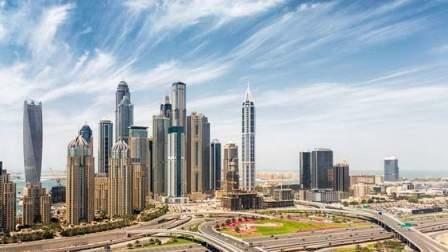 If you are looking to rent a new apartment in Dubai, being aware of certain rules is a must. The procedures include paying agency fees, Ejari fees, housing fee, security deposit and so on. Take a look at some of the important aspects before choosing an apartment or villa in the emirate. If you use the services of a real estate agency or a brokerage firm to rent a property, you have to pay the agency fees as well. Generally, agency commissions are in the range of 2 to 5 per cent of the first annual rent. However, some agents might increase their commission in certain cases. The next step is to pay the Ejari fees. It is a legal contract registration platform by Dubai's Land Department. As per the rules under this department, it will help authenticate contracts between landlords and tenants. The fee here is Dh195. The Dubai Municipality charges a 5 per cent fee on annual rent and added to Dubai Electricity and Water Authority (Dewa) bills. Besides there is a security deposit for apartments, equal to one month's rent. This deposit would be refundable when you vacate the property. In certain cases, landlords deduct amount from this deposit, citing the cost for repairs. For getting a Dewa connection, you have to deposit Dh2,000. This deposit goes up to Dh4,000 in the case of villas. The deposit is also refundable once you vacate the property. Besides, there would be a non-refundable connection fee of Dh110.